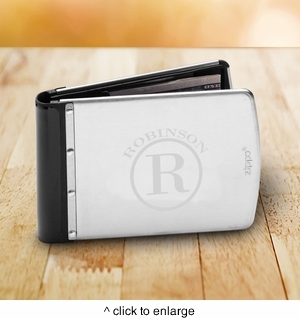 DETAILS: This unique wallet is made of stainless steel and heavy duty rubber, making it virtually indestructible. Provides credit card theft protection by deflecting signals sent from a Radio Frequency ID chip. Holds up to six credit cards as well as cash. SIZE: 4.5" x 3" x 1/2"